People may not associate the South with fine art, high fashion or five star restaurants. Southern Makers is looking to challenge these perceptions with their festival. 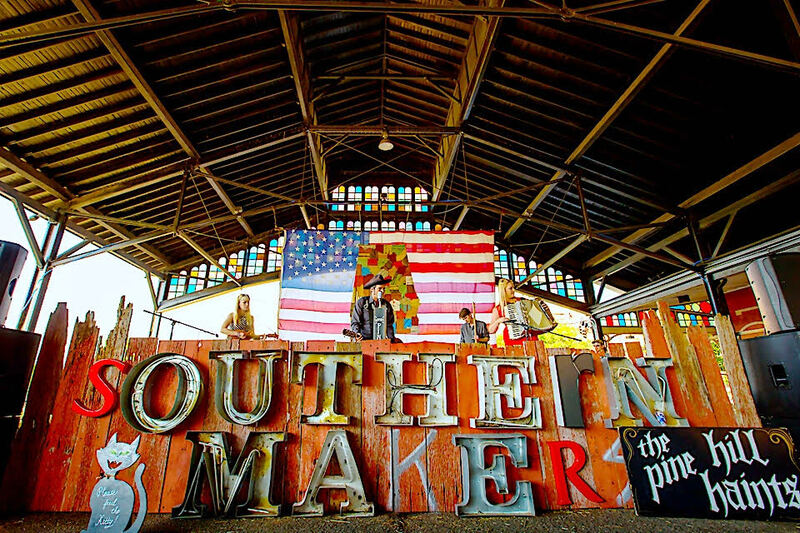 Southern Makers celebrates hand-picked talent and artisans from the region. Focusing on architecture, food, art, fashion and design, the two-day long event will be hosted at Sloss Furnaces in Birmingham, AL. This showcase of the South was previously been held in Montgomery. However, Southern Makers moved to the Magic City for 2017. Activities include various workshops, storytelling sessions and demonstrations. Of course, there is also the maker bazaar. Guests can select from multiple tiers of tickets. For example, you can enjoy a five star VIP dinner with food crafted by top southern chefs, including Birmingham’s very own James Lewis of Bettola. There will also be a beer garden curated by the Alabama Brewers Guild. There, guests can sample craft beers from breweries throughout the South. The Q&A sessions and demonstrations with artisans are sure to be a hit. An after-party at Avondale Brewing Co. will bring the weekend to a close. While tickets are no longer on sale, you can still apply to be a volunteer. Be sure to mark your calendar for next year! Feature photo credit: Michelle Marie Photography and Lisa Jones Photography. See more at http://www.southernmakers.com/.